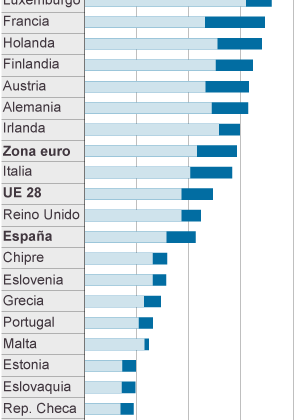 El Pais listed the Europe’s best paid countries. It represents the salary per hour in companies with 10 or more employees. The Greece data are from 2013.